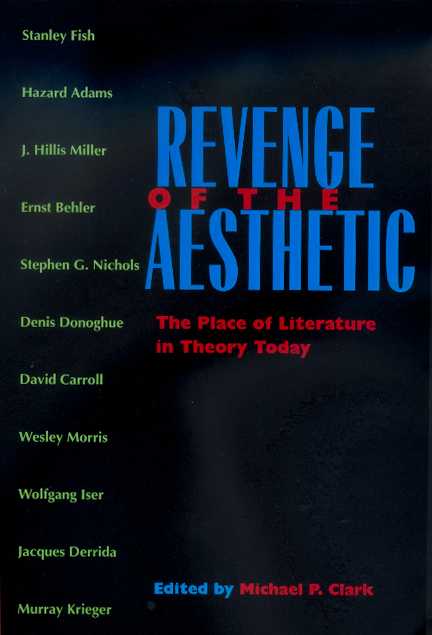 This cutting-edge collection of essays showcases the work of some of the most influential theorists of the past thirty years as they grapple with the question of how literature should be treated in contemporary theory. The contributors challenge trends that have recently dominated the field--especially those that emphasize social and political issues over close reading and other analytic methods traditionally associated with literary criticism. Written especially for this collection, these essays argue for the importance of aesthetics, poetics, and aesthetic theory as they present new and stimulating perspectives on the directions which theory and criticism will take in the future. In addition to providing a selection of distinguished critics writing at their best, this collection is valuable because it represents a variety of fields and perspectives that are not usually found together in the same volume. Michael Clark's introduction provides a concise, cogent history of major developments and trends in literary theory from World War II to the present, making the entire volume essential reading for students and scholars of literature, literary theory, and philosophy. Jacques Lacan: An Annotated Bibliography (1988).